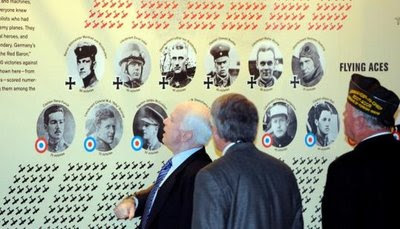 Does John McCain Hate Museums? You have to wonder about John McCain's attitude (and funding approach) toward museums given his snide references to an "overhead projector" for the Adler Planetarium or the "Hippie Museum" in Bethel, NY. Given recent chatter on the MUSEUM-L listserv and postings from bloggers like CultureGrrl, many museum folks are not only wondering about the effects of the economy on museums, but also how the upcoming presidential election may impact the future of U.S. museum funding. What do you think? Is a candidate's position on funding for arts and culture (including museums) a reason to vote for him or her, or merely craven self-interest? Let us know in the "Comments Section" below. The arts are very important - absolutely vital to a healthy free society. So, how exactly do you seperate self-interest from reasons for voting? Isn't all voting reflective of self-interest? How a candidate supports the arts is a prime factor in whether or not I'll vote for that candidate.